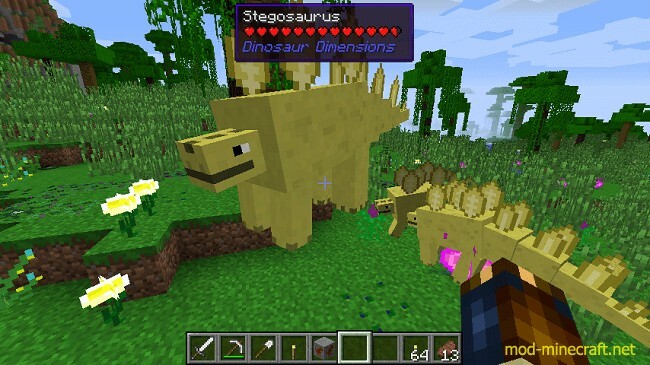 Dinosaur Dimension Mod, by adding 8 dinosaurs, enables players to travel to the prehistoric overworld and enjoy the amazing Minecraft world. 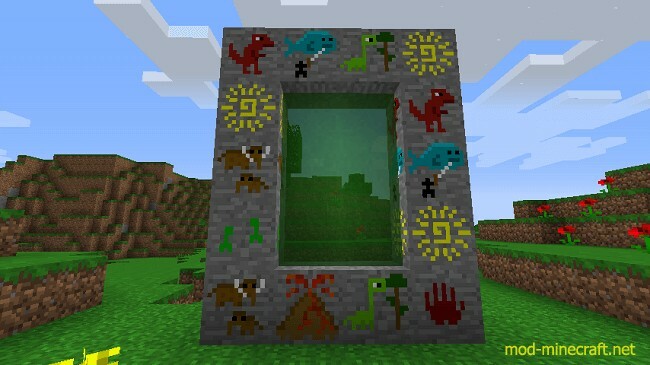 To access the dimension, build a typical portal shape (surround a 3×2 space of air) out of Cave Painting blocks. Activating is easy: Just right click a Cave Painting when the frame is complete. Green portals should appear, beginning your excursions into the unknown. 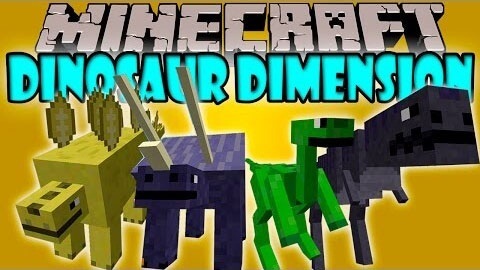 The Dinosaur Dimension is not a safe place to be at night, though no vanilla monsters will spawn there. 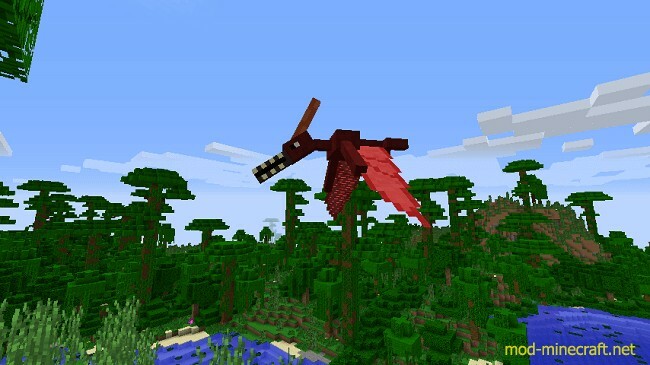 Mostly you need to watch out for the velociraptors and pteranodons. The dimetrodons are not more than a nuisance. 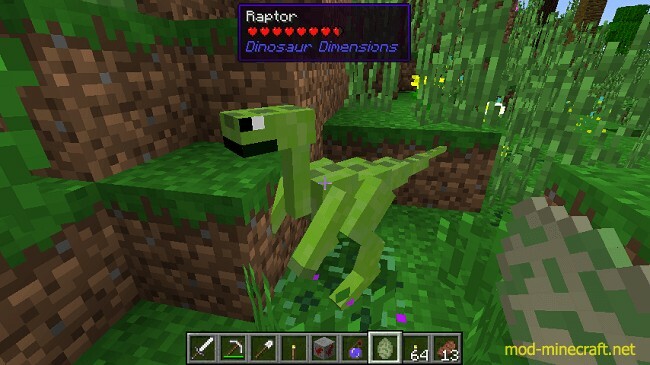 Along with prehistoric animals, this mod adds a few decorative plants ? 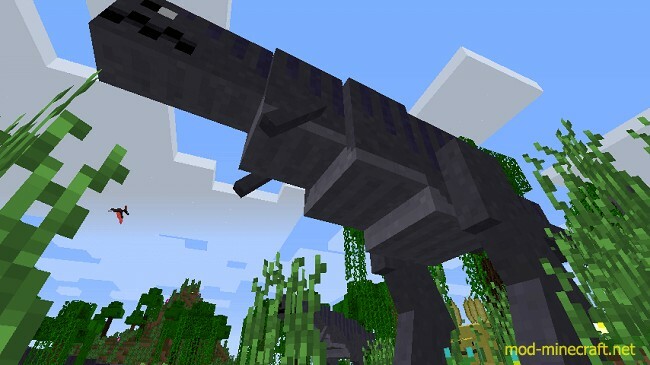 this adds to the exotic, tropical feel of the Dinosaur Dimension. 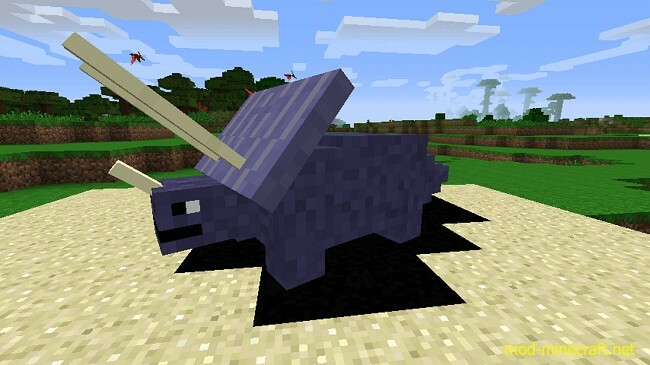 Last but not least, watch out for tar pits in the deserts. Use shovels when getting rid of tar for maximum efficiency.